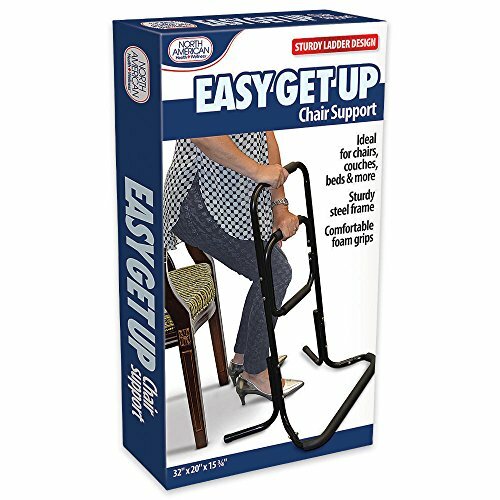 EZ Get Up chair support Ideal for getting in and out of chairs and beds. The ladder design provides maximum support and allows you to use both hands for leverage. A durable steel frame and wide, sturdy base add support, so you can safely get in and out of chairs without assistance. Foam grips add comfort and make gripping easier. Steel/foam. 15¾"L x 20"W x 32"H.
Dimensions: 15¾"L x 20"W x 32"H.
If you have any questions about this product by JOBAR INTL INC, contact us by completing and submitting the form below. If you are looking for a specif part number, please include it with your message.